It’s feeling very spring-like in New York this week, in more ways than one. Not only has it been warm outside. I’ve also just spent the last few days listening to spring trend forecasting presentations, and the one theme that’s resonated through every presentation has been the prevalence of white in color palettes: white with pastels, white with pure and vibrant sorbet shades, white with cool colors, and white with warm colors. I found myself nodding and nodding inside while I listened, since it’s exactly what you’ll be seeing from us this season. And it’s starting to show up at JoAnn stores now! I was inspired by lots of color for this collection. The palette is split into two separate palettes, one with warm colors like pink, orange, and yellow and the other with cool colors like blue, green, and turquoise. This season we’ve selected lots of textures, too: smooth and soft sateen, loads of glorious floaty and lightweight sheer lawn (sheer and light and floaty and voluminous is another theme for the season! ), crisp fresh poplin, and the rich texture of drapey and luxurious twill. These fabrics and prints are all about textures, both for the eye and the hand. The prints in this collection are inspired by Lisette’s usual nomadic ways. She found inspiration in antique cloisonne in China, block prints and ikats in India, and fresh geometric prints in Scandinavia. The prints are designed to work together, since fashion trends are all about mixing prints these days. I’m usually a cool color person, but lately I’ve also been gravitating toward the warm colors. Pink and yellow are really capturing my imagination (and are making their way into my wardrobe) for the first time in quite a while! I’ll be curious to see which colors and prints you like best. 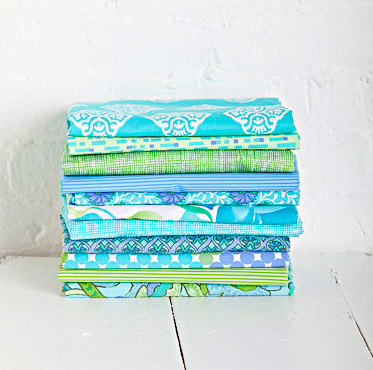 You can see the entire fabric collection here and at Jo-Ann stores across the United States. I’m excited for the new spring fabrics. I really like this collection! Love the whole line. It’s beautiful and I can’t wait to use it. I have always loved whites in my color fabrics…..These are beautiful and I cannot wait to see and touch them in the stores!!!! My little creative head is already starting to think about what I can make for my daughter with them!!! Wow! These are gorgeous colors. Are there going to be new spring patterns too? I spotted some different looking garments on the lisette fabrics page. Is that a preview? 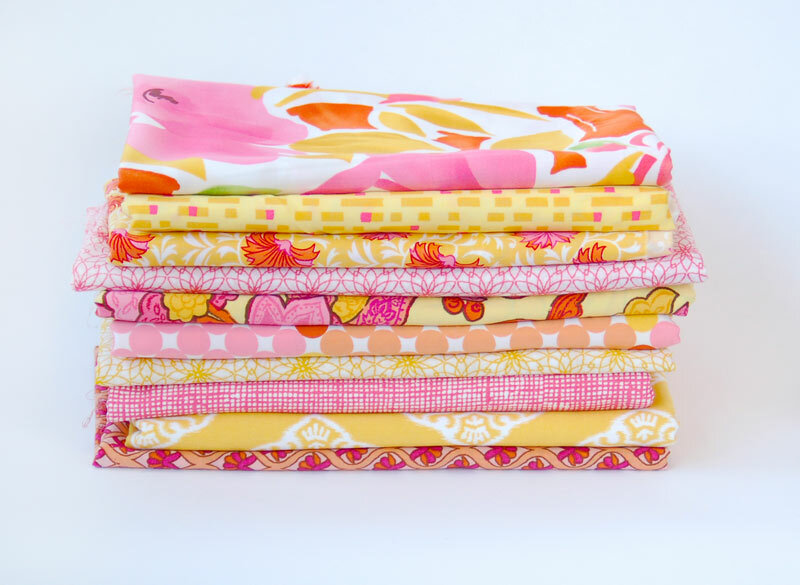 Kirsten, there will absolutely be some new spring patterns, and that is a tiny preview. I think they’ll be available in February, and we’ll be posting about them soon. Glad you all like the fabrics. Thanks for your enthusiasm! Thanks for the reply. Great news! I can hardly wait for more great Simplicity/Lisette patterns! Yay! These are gorgeous! Can’t wait for the patterns- those shorts are too cute!! Love the new fabric. I can’t wait to make those shorts. They are so cute! Chantal, Spotlight in Australia is going to begin carrying the fabrics. Current estimate is early-February for them to begin showing up in stores there. We’ll have more word when we get confirmation that the fabrics are available. Great fabrics! 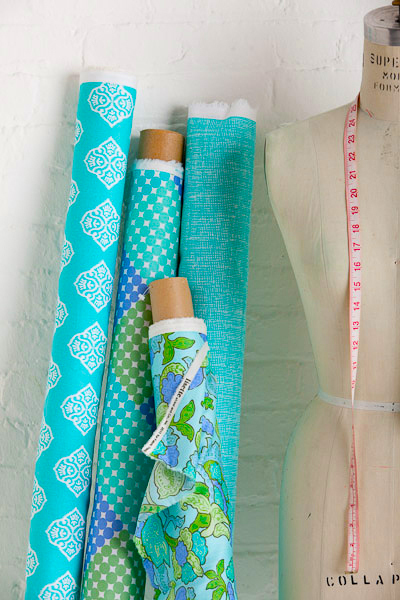 I notice on your website these fabrics are now available through Spotlight in Australia. Can you please tell us more? I haven’t seen them yet so is there a “due date” or any other info you can share. Thanks. 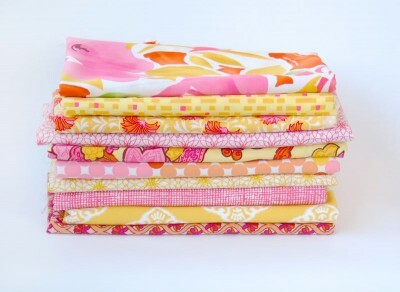 Yes, the Lisette fabrics should be arriving at Spotlight sometime in mid-February. We’ll let you know when we hear more! Thanks for the reply Liesl. I’ll be on the look out for your fabrics in Spotlight in the coming weeks. This is very exciting, especially as I’ve had my eye on one of your Fall fabrics for a while. Hello! I saw these fabrics at Joann’s the other day. On the bolt it said “DO NOT IRON” (I only looked at two of them, not the whole collection). I was a little surprised and wonder how I’m supposed to work with them if they need to pre-washed… don’t cottons wrinkle like crazy? Any suggestions would be appreciated! Ana, the fabrics are all cotton, and I have no idea why the bolt says that. I’ll confirm with the manufacturer, but I’m certain that you can iron these fabrics just as you would any other cotton fabric. Sorry for the confusion. The bolts must have been mislabelled. Thank you, Liesl. That is very odd. On my next trip to Joann’s I will take a pic for your reference. I’ve just bought a few Lisette patterns at my local Spotlight in New Zealand. Can’t wait to start on them. Does that mean if I look hard enough I’ll find some Lisette fabric too or is that only in Australia? Suzie, I had assumed that Spotlight would make them available in NZ as well. Perhaps you can check with someone there. I am desperate to get my hands on some of your beautiful fabrics but I live in England. Are there any distributors here or any plans for the fabrics to be sold here and if not what are the reasons for it. Katy, sorry but there aren’t any plans in the works for the fabric to be available in England. This is a line that is done for large chain stores only, and there hasn’t been interest from any English retailers of the size necessary to do a line for that market. Thanks for the quick response. Whilst it is a great thing that sewing shops in England are all thriving small businesses it does mean bulk buying is an issue. Hopefully one day we will see your fabrics on our little island. Thankfully I still get to enjoy your wonderful patterns.